I have nothing but bad things to say about 4 Friends Moving. The move was a complete disaster, there were a lot of damaged and lost things. And I haven't received my reimbursement yet, although i filed a claim about 3 months ago. I'm very disappointed because the entire move was very stressful for me and this issue complicated everything further. Unfortunately, things didn't turn out the way I expected. I hope that they will offer some kind of settlement for the damage they caused. Next time I will be more careful when researching moving companies. This is an upfront type of company. 4 Friends Moving keeps their customers first above all else and it shows in their work. They were incredible from the first time we talked all the way until we got our furniture delivered. I am beyond ecstatic that we went with a company who was able to provide us with what we were looking for. I had several quotes, and these guys were the most honest. These guys were knowledgeable, hard-working, clean cut, and nice. I will definitely be using this company again. I’m glad I was doing business with 4 friends moving. 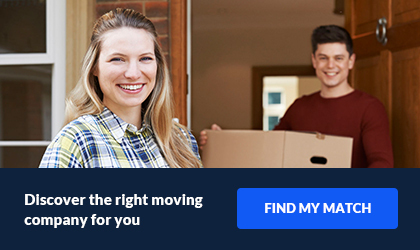 I had a nice experience with the moving team. They showed up on time and handled my items as if they were their own. Aside from a couple of scratches, there was no any visible damage. Movers were very efficient, didn’t take long breaks and completed everything in a timely manner. But, on the other hand, the representative I first got in touch with wasn’t that polite. She gave me partial information and wasn’t able to answer all of my questions. However, what really matters is a successful outcome of the move and I’m really grateful for it. 4 Friends Moving guarantees customer satisfaction. They have over 50 location, including Florida, Texas, North and South Carolina, Pennsylvania and Georgia. In Florida alone they have 44 different locations and 10 in Texas. 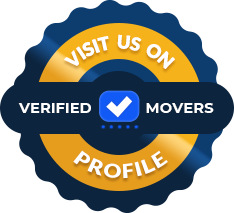 They believe in being trustworthy and offering all services that you would need for your move. You can count on them to make your move as stress-free as possible. Budgeting is always important with moving. That's why they also have competitive pricing. They truly want to be best for you. It's important to know what you're getting into prior to booking your move. If you work, like most people, your time is important to you. 4 Friends Moving guarantees start times on local moves. So don't worry about missing your going away party! If they say they will be there at 2, they will be there at 2! They also offer A/C storage options. This will ensure that all of your items stay safe and sound. If you are not ready for the delivery of your household goods, this is very important. You don't want your stuff sitting in a sticky, hot facility! If you are worried about having a truck with other people's items on it, the next advantage is important. They also offer exclusive truck use and expedited deliveries. These will come at an additional fee, but know that the option is there for you. Need another incentive? The offer 5 free wardrobe boxes on all moves. This is in addition to the free pad wrap, blankets, TV protection kits and floor runners. 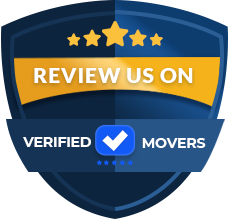 For great service and a better move, 4 Friends Moving is for you!